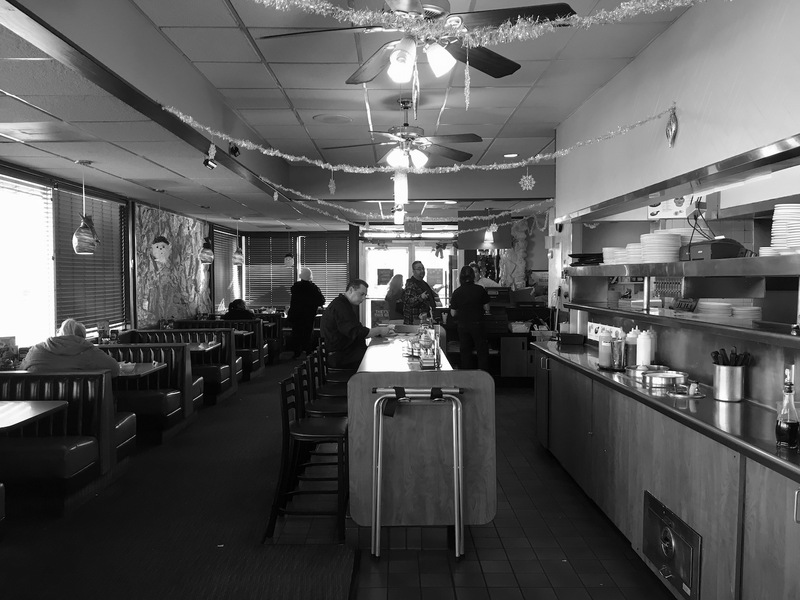 The ubiquitous Denny’s, in Lubbock, Texas. I’ve been the to Denny’s in Lubbock at Slide and 50th Street more times than I can count. Yesterday afternoon I needed to vacate my room for a bit so housekeeping could do their work. Plus I needed a nibble and a coffee. So the Girl and I drove south to Denny’s. I figured that at mid-afternoon there would be little traffic. I was right. So the Girl snoozed under the table while I had a salad and some coffee. I also enjoyed flipping through my brand new (to me) copy of The Americans by Robert Frank. The images are captivating and I’ll spend much time studying what attracted Frank to each subject. I also had to have a capture to commemorate my visit. I doubt that Denny’s looks much different than it did 50-years ago. I can assure you that it looks no different at all from what it did over 30 years ago. I used to have breakfast there once a week with a good friend. I can only aspire to the stature of Edward Hopper. I had forgotten about this painting until recently. Thanks for the reminder, Links.